Once again the North Koreans are scoring a propaganda coup by exploiting the presence of a high-level American delegation. 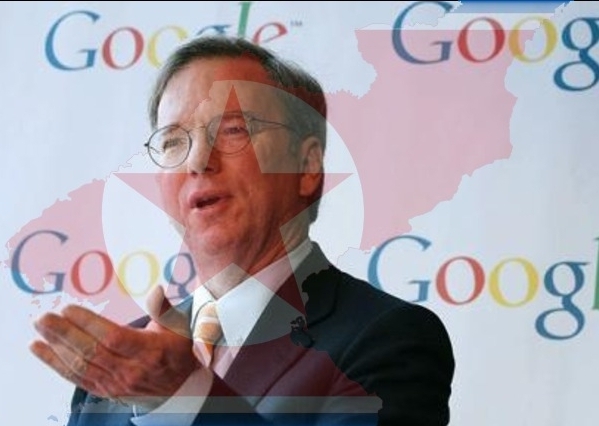 This time it’s Google Chairman Eric Schmidt traipsing off to Pyongyang in the hands of Bill Richardson, the former New Mexico governor, and Richardson’s long-time adviser, Tony Namkung. Richardson has said the visit is “humanitarian,” but if there’s one thing it will not accomplish, it will not do a thing about the tens of thousands of North Koreans enduring the hell of one of the cruellest prison systems on earth. It’s very unlikely, in fact, that the topic of real “human rights” for North Koreans will come up at all in whatever Schmidt, Richardson, and Tony Namkung get going in Pyongyang. They wouldn’t think of anything so gauche as to raise a topic that they know very well will only annoy their North Korean hosts. No, when Richardson talks about the “humanitarian” mission that he believes will justify the visit, he means he’s counting on the North Koreans to release to his care a Korean-American tour guide who was arrested leading a group to the Rason Economic Zone on the northeastern coast. Forty-four-old Kenneth Bae and his group entered the North legally across the Tumen River border from China, but Bae is believed to have been carrying religious material either in print in his suitcase or on the hard disk of his computer. A devout Christian, Bae may have thought he could spread the word of the Bible to some of his contacts. Or he may have just been careless, bringing in stuff that he should have known would get him into trouble. The North Koreans by now have an amazing record for making the most of Americans who fall into their hands. The Current TV journalists Euna Lee and Laura Ling were held for 140 days in 2009 after North Korean border guards nailed them filming on the Tumen River border with China. It took a quick trip by Bill Clinton on a rich California businessman’s plane to bring them home after Clinton and his entourage had dined and chatted with Kim Jong-il. Then, in 2010, another former U.S. president, Jimmy Carter, flew to Pyongyang to pick up Aijalon Mahli Gomes, who was about to begin an eight-year prison term. Gomes’ offense was to have crossed the border from China in a gesture of solidarity for his friend Robert Park, the crusading Christian activist who had entered the North bearing a plea for Kim Jong-il to release prisoners and step down as North Korea’s leader. 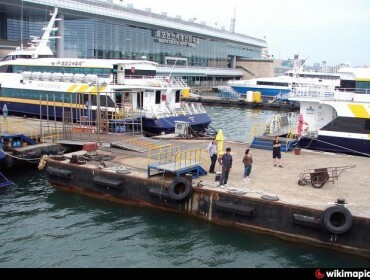 No high-level visitor picked up Park, who was freed six weeks later after recanting his accusations. Since then Park has accused his captors of unspeakable forms of torture and carried on a personal crusade against “genocide” in the North. 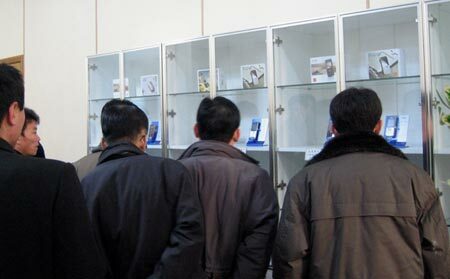 North Koreans look at a cell phone display in Pyongyang. For an understanding of the dynamics of these visits, one has to look at Tony Namkung, born in China, the son of Korean parents from Japan, who spent his early years in Manchuria before getting to the U.S. Like Bae, Park and Gomes, he’s also a devout Christian with a doctorate from the University of California at Berkeley. 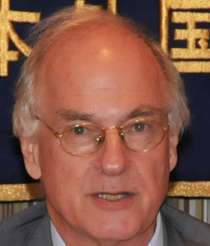 He’s been instrumental in arranging for Clinton’s mission to North Korea and in the release of Gomes, and he also assisted the Associated Press in setting up its Pyongyang bureau. It need hardly be noted that the AP in Pyongyang, like the visitors whom Namkung gets to visit the North, doesn’t delve into “human rights” abuses. Since the AP had the first word on Schmidt’s plan to go to North Korea, Namkung presumably was the source. 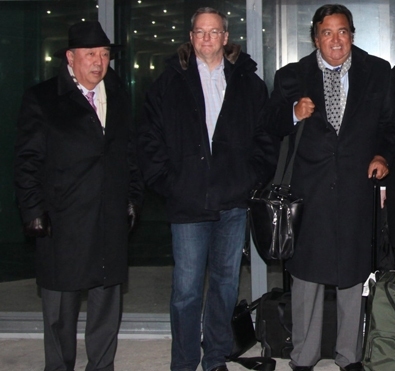 Tony Namkung, Eric Schmidt and Bill Richardson at Pyongyang International Airport on Jan. 7. Namkung has been to North Korea about 40 times over the past quarter century carrying out what he sees as a mission of fostering reconciliation and rapprochement. He may deny that he’s “pro-North” though he’s not known to have uttered a critical word about his hosts. While other Christians campaign for human rights for North Koreans risk capture and hardship in China for assisting defectors in getting to South Korea and elsewhere, Namkung prefers the hospitality of North Koreans. 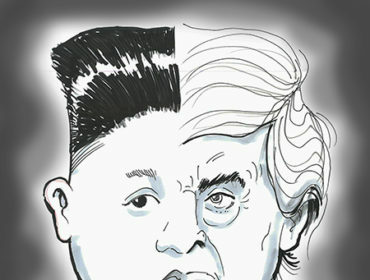 If Schmidt makes no deals in Pyongyang, his visit will at least convey the impression of a society poised to bridge the digital divide that deprives most North Koreans of the wonders of the computer age.